Home » Live Well » 6 Effective Ways To Help You Put Down That Smartphone! 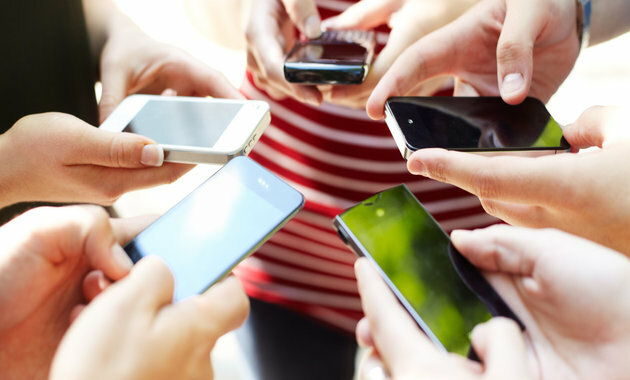 6 Effective Ways To Help You Put Down That Smartphone! You know you’re addicted to your device or smart phone if you pick it up for no apparent reason, or you feel insecure when it’s not in your hand or right next to you. Other signs include using it during mealtime or while at a social gathering, or even checking your phone while doing other important tasks like writing, eating or driving. Have areas at home where you and your family do not use their phones, especially during meals, while having a conversation and while spending quality time with the kids. Pick certain times of day when you deactivate your data and disable your Wi-Fi so that you can focus on other hobbies like reading or cooking or listening to music. When your phone beeps, it sometimes takes all your restraint and willpower to ignore it, so help yourself by minimizing your notifications. Switch off notifications for email accounts you know receive too much junk, that way you will check this once a day. Switch off notifications to annoying chat groups that not only distract but disturb you during work, sleep, quality time with your kids. We all use our phones to wake us up and the default option is that once we’re up, we’re online checking Facebook before saying good morning to your kids or your spouse. Horrible habit. Buy an alarm clock, that way when you’re up your go to reaction isn’t what happened on social media while I was sleeping. We rely on our cell phones to tell the time as such the default reaction is to check other apps while you’re at it. If you wear a watch, the number of times a day you look at your phone will dramatically drop. Today our phones are our lives, these devices are a one stop shop for a calendar, clock, computer, entertainment center, calculator and what’s more you can run your life/your tasks for the day from your phone. The downside is that you end up addicted and anti-social. A simple thing like writing down your to do list on a piece of paper can help change addictive behavior, it won’t hurt to try! So go ahead, unplug from your phone and plug in to your hobbies, to your loved ones, to your fitness goals and most importantly to you. Stay Healthy, Stay Happy!